The City of Angels has for sure a myriad of things to offer to its guests and visitors. Los Angeles is an important center of culture, international trade, business and media. 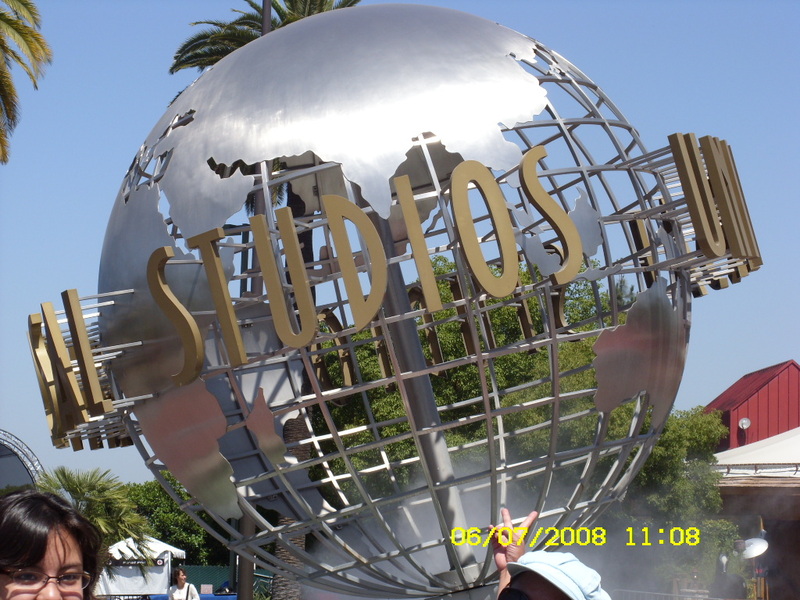 Most of all, it acquired its global status being the center of the world's entertainment industry. For these reasons millions of tourist each year are attracted to visit this famous city in California. Below are some of the top tourist attractions in Los Angeles. Would you think I am lucky enough to visit this part of LA? It was one of my wonderful experience visiting Hollywood Universal Studios. I can't imagine being there but I was not dreaming. I was truly there! There are a lot of attractions and movie-themed rides there, suited for both young and old. You can also see costumed characters roaming around the area and interacting with visitors. This park is truly a worth to visit place. Universal Studios During Our Visit last June 2008. Also called as the J. Paul Getty Museum, this is one of the famous museums in LA which is worth to visit. This museums exhibits extensive collection of contemporary and modern art. It is good to know that entrance there is free of charge. Just prepare a fee for the parking. This is also one of the reasons why Los Angeles is always flocked with visitors from around the planet. It is home to the most fabulous beaches in the country. The most popular ones are Venice, Malibu, Long Beach and Santa Monica. Normally Los Angeles weather is typically mild and beautiful all year but check it first before going to swimming. I am quite sure, you will have a great time also relaxing on its golden sand. If you are a sport lover, don't miss to visit this multi-purpose sports arena in Downtown Los Angeles. This is also a venue for a large number of major-name concerts. Did you know that the public memorial for the Michael Jackson, known as the king of pop was held at Staples Center on July 7, 2009? This is also one of the famous landmarks of Los Angeles. It is the center of the government of the city of Los Angeles, California. If you have the chance, go up to the observation level which is open to the public on the 27th floor.